Longer eyelashes are always a desire! Who wouldn’t want long, gorgeous eyelashes? Lucky for you, there are more and more options for those of us who are constantly in pursuit of those perfect lashes. 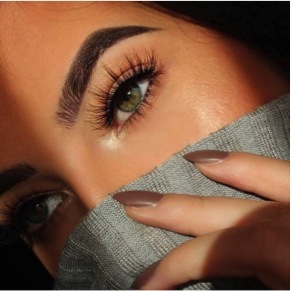 For a more temporary fix for longer eyelashes, you can always go with falsies. False eyelashes are a great one-day or one-night fix for eyelash length. The plus side of false eyelashes is that there are a ton of options. You can get fun, decorative, and colourful options. They are great for a themed party or a one night look. They also only last a few hours, so you do not have to put up with them for too long if you don’t want to. The down side is they only last for a short while, so if you’re looking for a long term fix, fake eyelashes are not for you. Eyelash extensions is another option. Just as it sounds, eyelash extensions are put onto your eyelashes, just as they would be in your hair. Usually a glue is used, so it is much like putting on fake daily eyelashes on, except the results can last for up to 6 weeks as opposed to a day or two. If you are looking for a more permanent solution, eyelash extensions may be the option for you. If you are not a fan of wearing some synthetic or other kind of eyelash, you can opt for an eyelash lift. This is the newest in the eyelash craze. This technique does not adhere anything to your lashes, it simply changes the shape and curvature of your lashes to make them look longer! Different salons do things differently, so we suggest reading up on your salons before booking an appointment to do this, just to make sure it is right for you!